Home » Uncategorized » On Your Mark, Get Set…READ! 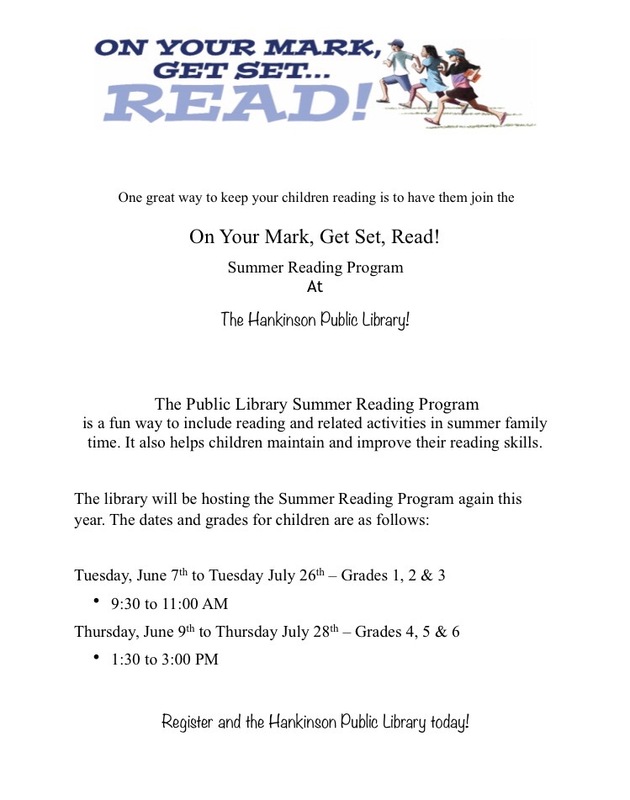 The Hankinson Public Library would once again like to offer, to the children of our city, a fun Summer Reading program! Stop into the library today and sign up your child.